The Traxxas Aton 2-Axis Gimbal opens the door to a world of opportunities and greater filming possibilities with your Aton Drone. Designed to be compatible with the Hero 3, Hero 3+ and Hero 4 cameras, this gimbal will allow you to capture crystal clear images and smooth video footage with your Aton. 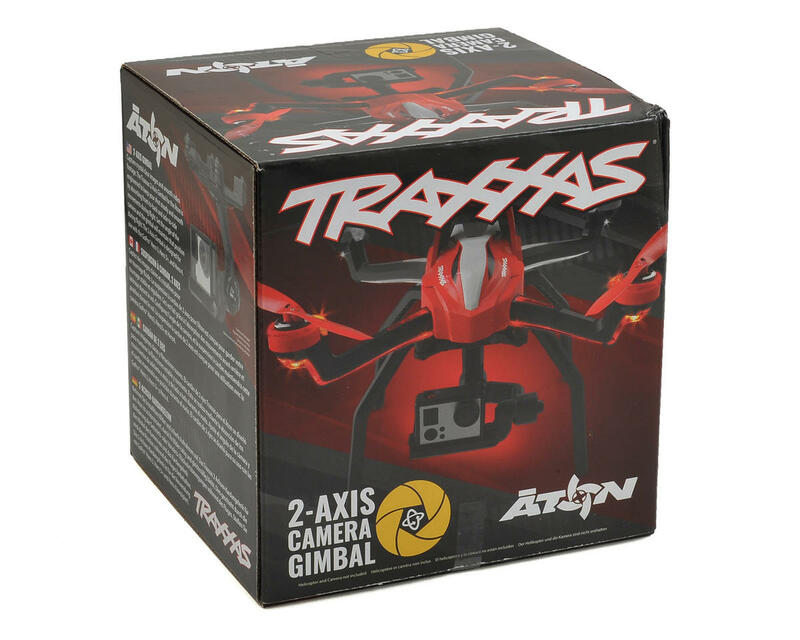 The Traxxas 2-Axis Gimbal for the Aton is engineered to keep your shot steady and smooth by absorbing front-to back and side-to-side movements during flight. Set the angle of the camera and the gimbal will maintain that position during flight. The 2-Axis Gimbal is also compatible with other action cameras that are similar in size and weight to the GoPro. WARNING: To prevent radio interference and loss of control, always disable Wi-Fi on your GoPro or other action camera (if so equipped) BEFORE flying the Āton. IMPORTANT: The gimbal is intended to be used in the Āton’s Film Mode. Using the gimbal in Sport (Fast) Mode or Expert Mode with aggressive flight will force the gimbal to operate beyond its mechanical limits. 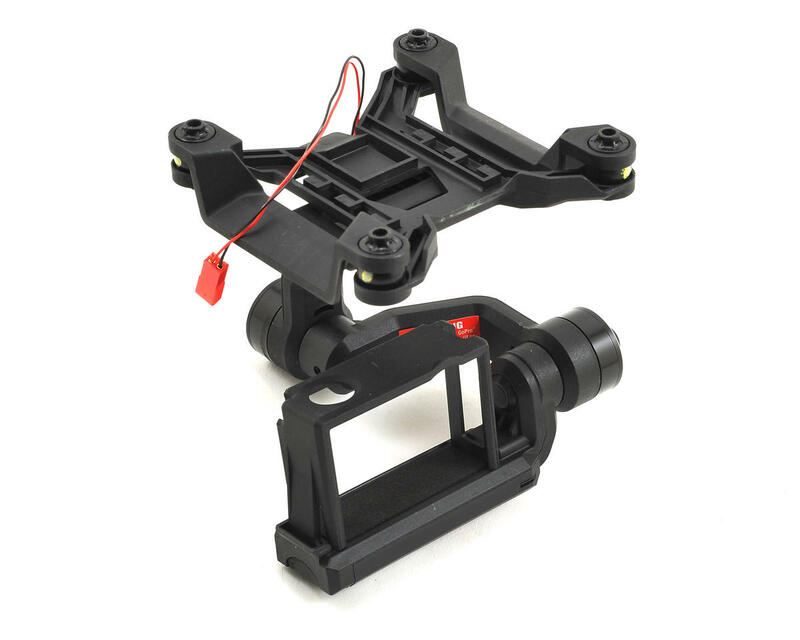 This will cause the gimbal to malfunction and could result in damage to the gimbal and the attached camera.